It was 1948, and Charles Lazarus had a hunch. Newly returned from World War II, he knew he wanted to go into business, and he knew—long before the term “baby boom” was a common phrase—that his friends were about to start having lots of babies. Those instincts didn’t just help Lazarus capitalize on the baby boom: They helped originate Toys ‘R’ Us. Once a retail juggernaut, the store dominated the entire toy industry—and children’s imaginations—by driving its competitors out of existence. Now, the retail giant has been forced into bankruptcy, the victim of a retail model it helped pioneer. In March 2017, the 70-year-old business announced that it would call it quits. It was the end of an era for the store that once held a lock on the entire toy industry and made toy shopping—once a seasonal treat—into a regular family outing. Lazarus opened his first store, Children’s Bargain Town, in Washington, D.C. in 1948. Specializing in baby goods, it only began selling toys once Lazarus realized customers didn’t come back for more strollers, high chairs and other baby goods with their second child. He started selling a few inexpensive toys, then added to his inventory as they proved popular. But Lazarus wasn’t content to stop with a single store. He had an idea that was bigger than Children’s Bargain Town or any kids’ store he had ever seen—a massive store filled with every toy in existence. 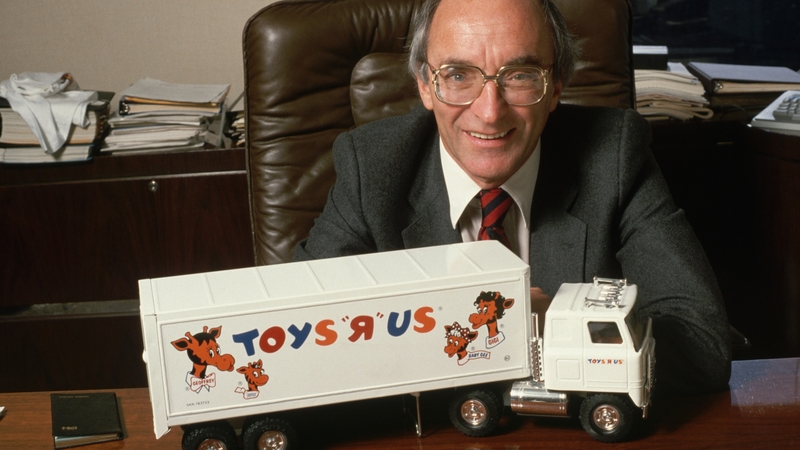 In 1957, he got out of the baby furniture business, renamed his company Toys ‘R’ Us and created the first ever big-box toy store. The new megastore took a supermarket-style approach to toy selling, which distinguished it from every other toy store in existence. Most toy stores were small and family-run, and only carried a limited line of products. Lazarus’ stores, on the other hand, were orders of magnitude larger than their competitors, and presented a smorgasbord of thousands of different toys. Big-box stores like Toys ‘R’ Us astonished the era’s consumers, who had simply never seen stores that big and crammed with merchandise. “What Lazarus really captured was this sense of American abundance after the war and after all those years of depression,” says Richard Gottlieb, founder of Global Toy Experts and an authority on the toy business. Gottlieb sees Lazarus as part of a bigger wave of entrepreneurship that took hold in the post-war years. “The modern American toy industry was really created by Jewish soldiers coming back from the war,” he says. Other Jewish industry superstars include Isaac Heller, who converted military surplus into toys for boys in the 1950s, Elliot Handler, the founder of Mattel, and Milton Levine, creator of the wildly popular “Milton’s Ant Farm,” which was a hit with kids during the 1950s and 1960s. Lazarus’ idea was deceptively simple: build a supermarket for toys. 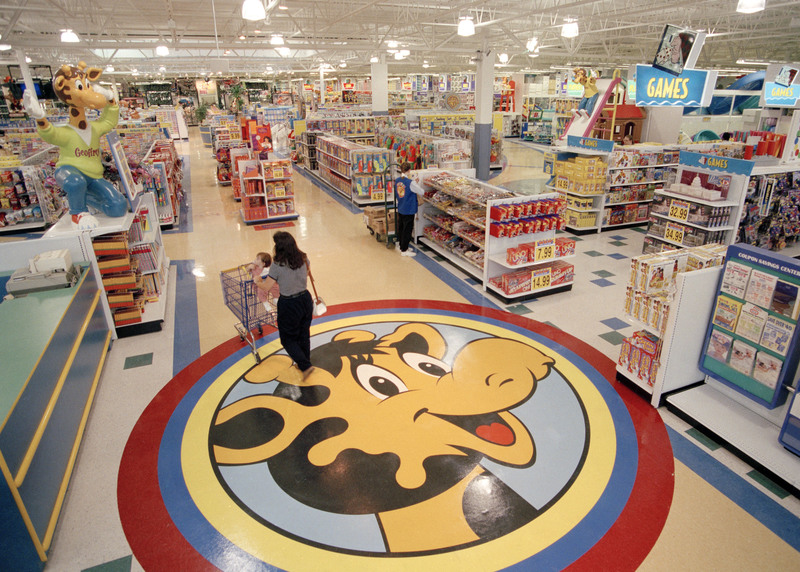 While other toy shops had display cases and decorative interiors, Toys ‘R’ Us had concrete or tile flooring (better for the bottom line) and rows of toys laid out next to each other, grocery store-style. The store’s bare-bones appearance didn’t seem to matter to consumers, who were entranced by the toys within. And what toys. The 1950s and 1960s ushered in some of the most iconic toys of all time, from Mr. Potato Head to Barbie to the Easy-Bake Oven. As Japan rebuilt its economy, it began to produce inexpensive toys, like tin robots and cars and stuffed animals, that Lazarus purchased cheaply and in bulk. Lazarus bought and sold so many toys that he was able to negotiate contracts to buy toys for cheaper than his competitors. This made Toys ‘R’ Us into what retail historians recognize as the first “category killer”—a company that so completely dominates its retail category that it drives all of its competition out of business. Mom ’n’ pop toy stores buckled, unable to captivate children with the sheer promise of discovery offered by Toys ‘R’ Us’s large inventories. And department stores, which had once relied heavily on seasonal toy sales, soon realized that Toys ‘R’ Us had created a year-round demand they weren’t able to serve as effectively. The company had help. 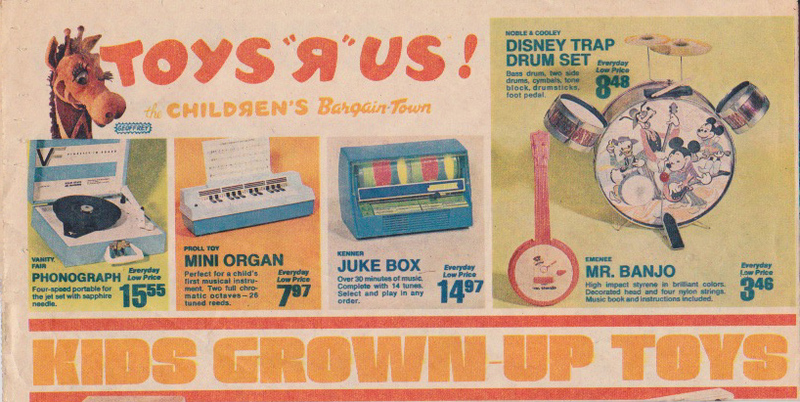 As television reached more and more households, Toys ‘R’ Us benefited from advertising by toy manufacturers. Companies like Mattel could now market their newest offerings to kids directly, which fueled demand for the toys Lazarus stocked. TV helped consolidate Toys ‘R’ Us’s brand, too. 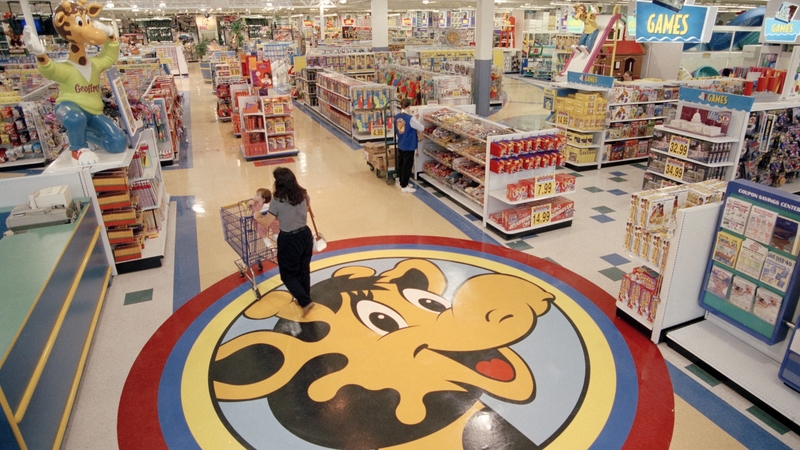 The store used its mascot, a loveable giraffe named Geoffrey, in TV spots for the company beginning in 1973; soon he was a TV commercial staple, even acquiring a wife, Gigi, and children Junior and Baby Gee. And in the early 1980s, the store’s TV spots became even more iconic with a catchy jingle that featured a self-identified “Toys ‘R’ Us kid” who didn’t want to grow up. Although parents eventually grew concerned about overloading their children with toys, Gottlieb says that oversaturation was never Toys ‘R’ Us’s challenge. In fact, the store only began to fail once it cut back on the dizzying number of toys it carried. 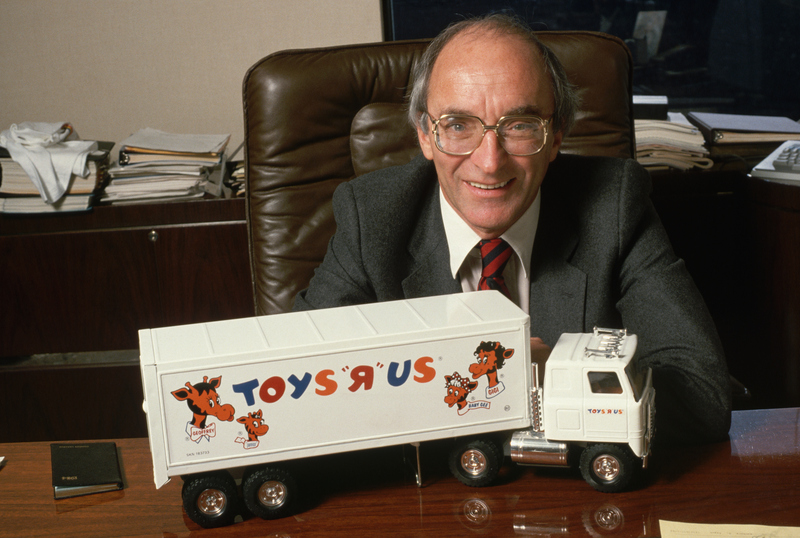 In 1994, Charles Lazarus stepped down as the company’s CEO after nearly a half-century of selling toys to enraptured children. Toys ‘R’ Us faced other challenges over the years, like the rise of e-commerce, changing toy tastes, a transfer to private hands in 2005, and a leveraged buyout that failed spectacularly. The stores themselves became increasingly dated. But ultimately (and ironically), Toys ‘R’ Us became a casualty of the big-box model it helped create. The original category killer was killed by big-box stores that were even bigger and more powerful than Lazarus’ behemoth. Worried about competition from Wal-Mart and Amazon, executives began to winnow the number of toys the store carried and focus even more on slashing prices.